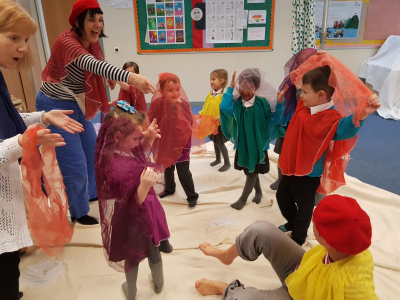 In Autumn Term 2018/19, 30 more children from Oakwood P1, P2 and P3 took part in LicketyLeap (The Story of Margaret & Margaret). In Session One, they travelled through the bog, over the sea, into the cave and up the mountain with Worried Margaret and Bold Margaret, to find their Heart’s Desires! 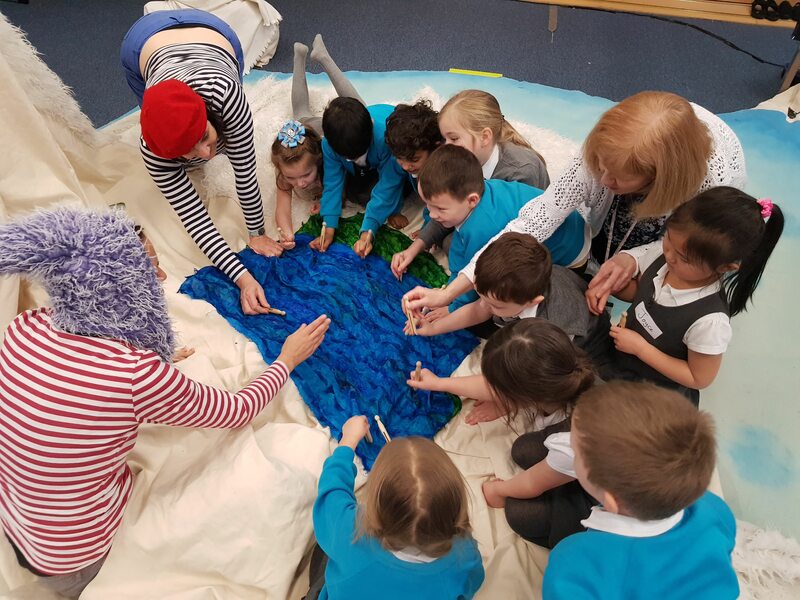 In Session Two, the children reenacted the whole story with the actor-pedagogues, using only a blanket. It’s always incredible to see how much they remember and the increase in confidence to talk to us and share thoughts and ideas after Session One. Later in Session Two, parents and carers were invited to watch the video of the first session and some live reenactments of parts of the story by their children. 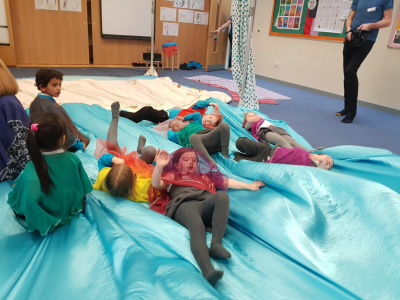 It’s so significant for the children to share this significant experience with the adults in their life and it’s great to chat to parents and carers about the impact they think LicketyLeap has had on their child, and tell them more about why we do it.